Among the popular pastimes of ancient India, playing cards were as favoured as chess or dice among pursuits of leisure. It is accepted that the first Mughal rulers introduced Ganjifa playing cards to India. 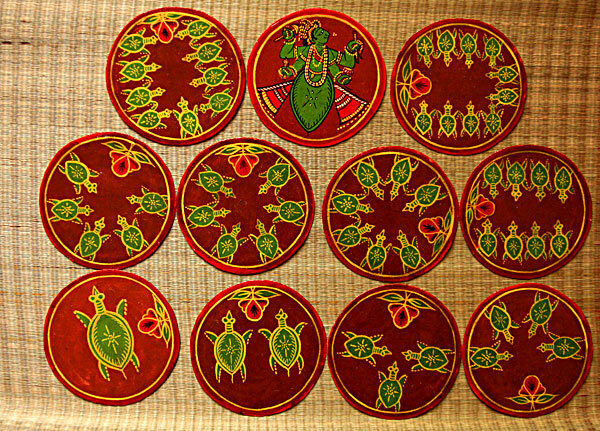 Circular in shape, the Mughal ganjifa cards were played with eight sets of cards, each set containing twelve cards, that is, a total of ninety-six cards. Beautifully crafted on ivory for the nobility and painted on cheaper material for the masses, some of the ivory cards are still preserved in the Jaipur and Sawai Mansingh Museums in Jaipur. Once established, the game spread to other regions, either in its original Mughal form or in a Hinduized form. By the 16th century, several types of Ganjifa games developed. Bishnupur, in the Bankura district in West Bengal, was the only region in Bengal where Hinduized Ganjifa cards were crafted - the dashabatar. Here, the game was changed both in its content and rules. Ten suits of twelve circular cards each, totalling to one hundred and twenty cards in all were used. 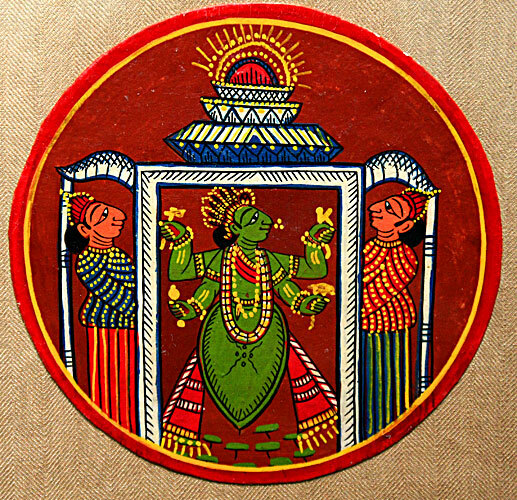 The motif painted on the cards related to a Puranic theme - the ten avatars (incarnations) of Lord Vishnu – dus (ten) avatar or dashabotar (Bengali). Each suit of the Dashabatar Taash (cards) of Bishnupur was named after an avatar of Lord Vishnu - Matsya (fish), Kurmo (Kurma) or turtle, Baraho (Varaha) or boar, Narasingha (half man –half lion), Bamon (Vaman) or dwarf, Parashuram (the axe-wielding sage), Ram (the central character in the Hindu epic Ramayana), Balaram (elder brother of Krishna), Buddha and Kalki (the final incarnation of Vishnu who it is believed will destroy the present decadent and corrupt age and usher in Satyayug, an age of truth and justice). Orthodox Vaishnavs, the worshippers of Vishnu, who did not accept Buddha as an incarnation, renamed this suit as Jagannath. This is an example of the syncretism of the Hindu religion. It is sometimes said that this ordering of cards illustrates the story of creation from water to the birth of human life followed by destruction and a rebirth in a new dawn. Each suit of twelve cards contained a Raja (king) as an upper court card and a Mantri (minister) as a lower court card along with ten numeral cards. Each card in a suit carried the symbol of the avatar meticulously painted. The suit of Matsya is symbolized with a fish, Kurma with a tortoise, Baraho with a conch shell, Narasingha with a chakra (wheel or disc like weapon), Bamon with a kamandalu (water pot used by ascetics), Parashuram with an axe, Ram with an arrow or bow or monkey, Balaram with a plough or mace or cow, Buddha or Jagannath with a lotus and Kalki with a sword, horse or parasol. The game was played by five players, each player playing with twenty four cards. The aim was to get as many points as possible by putting down the maximum number of cards. In the days when it was a pleasurable royal pastime, the game started with the king of ‘Ram’ during the day, Narasingha at twilight, Kurma during a rainy day and Matsya during a rainy night. The craftsmen who made these Dashabatar cards were masters in the art of painting on canvas and chariots. They were given the title sardar or fouzdar (leader or chief) for their skills. The ingredients they used were fine cloth, chalk, tamarind seed resin, vermillion and vegetable dyes. An old piece of cloth was folded several times and the folds were pasted together with tamarind glue. Alternatively, several layers of pieces of cloth were glued together. The stiffened piece of cloth was then dried in sunlight and its two surfaces smoothened with stone. It was then cut into circular pieces of about four to four a half inches and coated with a base colour, usually chalk paste. Finally, the master artist took up his brush to paint the picture of the avatars - drawing the delicate outlines, the details of the figures on the Raja and Mantri cards and critical touch-ups which require a master’s hand.  His assistants, probably members of his family, would draw the numeral cards. Thus an entire family would devote itself to producing a single set of Dashabotar cards. It is said that the first set of Dashabatar Taash was made by Kartik Fouzdar under the specific orders of king Bir Hambir. The cards were expensive and initially only upper class society had access to the game. With the increasing popularity of the game and the demand, methods were developed to produce inexpensive cards. The craftsmen now prefer to use water colours due to the increased cost of natural colours. A popular game once, today this craft faces extinction. The game has become archaic having long been overtaken by the cheaper European card games introduced during the colonial period. It now survives mainly as a collectors’ item.